A percussionist, tired from being ridiculed by other musicians, decides to change instruments. 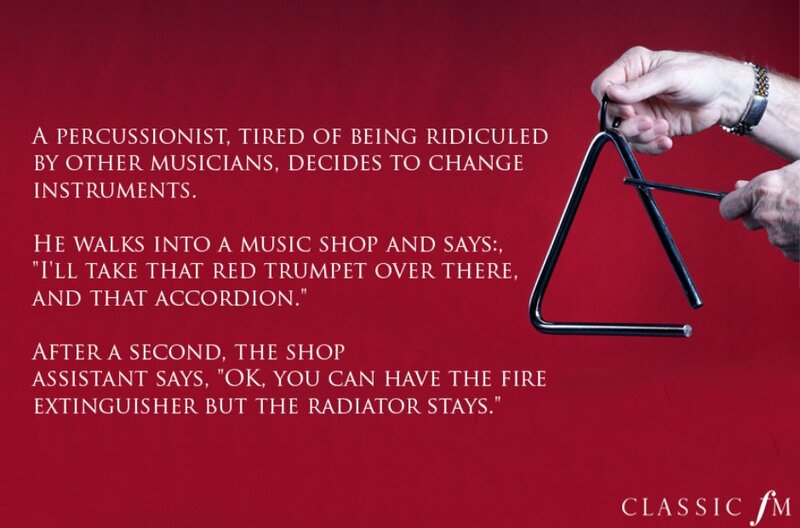 He walks into a music shop and says, "I'll take that red trumpet over there, and that accordion." After a second, the shop assistant says, "OK, you can have the fire extinguisher but the radiator stays."